Longwearing foundations are typically designed for oily skin since oil can breakdown the makeup and cause fading and blotchiness. The problem is that even though my skin is now mostly normal with several dry patches (especially in cold weather), I can't seem to keep foundation on my face for more than five or so hours before it starts fading or disappearing all together. It's almost like my pores just eat up the foundation -- because there's really no oil or shine to break it down. So I am drawn to longwearing formulas in the hopes that one is going to work with my skin. 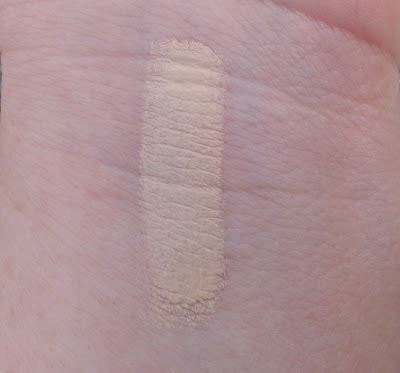 I had high hopes for the Revlon Colorstay Liquid Makeup For Normal/Dry Skin because it seemed to be exactly what I wanted -- a formula that would last for hours and not accentuate any dry, flaky patches. And it gets rave reviews from plenty of beauty bloggers and vloggers, so it seemed like a good option to try. Unfortunately, it just isn't a formula that I like very much. I can deal with full coverage foundation but the Revlon Colorstay just looked too mask-like and heavy on my skin. It accentuated pores and flaky patches -- and it dries so quickly which made it really tough for me to work with. 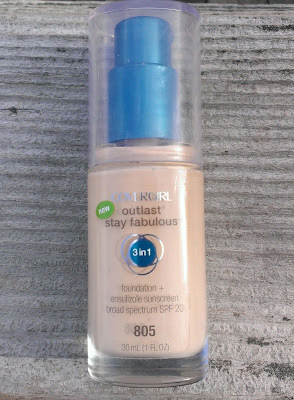 When I first read about the Covergirl Outlast Stay Fabulous 3 in 1 Foundation, I immediately wanted to give it a try -- though, to be perfectly, honest, I wasn't expecting much. I've never had any luck with Covergirl foundations and I assumed the formula might be an even worse match for my skin than the Revlon Colorstay since it's not even meant for normal/dry skin. But I've got to say, I like this foundation a whole lot better than the Revlon Colorstay. The label on the Outlast Stay Fabulous Foundation guarantees all-day flawless coverage and boasts that the formula has the lasting power of a primer, coverage of a concealer, and blendability of a foundation in one. And you know what? It pretty much lives up to those claims. It's also much easier to apply than the Revlon Colorstay because it doesn't dry as quickly so it's easy to blend and work into the skin. 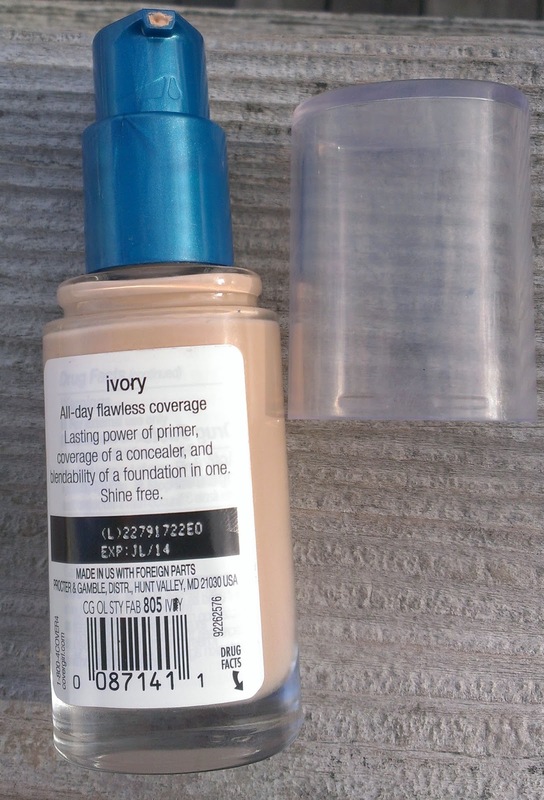 The bottle also features a user-friendly pump (unlike the Revlon Colorstay or Nearly Naked...) so you can get just the right amount of product and not waste any. If you have oily, combo or normal skin, this foundation is definitely worth giving a try. Particularly if you wanted to like the Revlon Colorstay but just didn't. But, as I said, the formula isn't exactly a perfect match for my skin type. It accentuates the flaky patches that I have between my eyebrows and on my cheeks right now, which, as you can imagine, isn't an attractive look. However, unlike the Revlon Colorstay Foundation, I can actually get the Outlast Stay Fabulous to work if I just try a little harder. Don't apply too much. I find that a single pump's worth is more than enough to do my entire face. Instead of a brush, use a damp sponge to apply the foundation. I like the Beauty Blender, but a basic wedge sponge would work too. Powder isn't really necessary with this foundation unless you have oily skin. If you want to boost the lasting power with some powder, go with one that's lightweight and doesn't provide much coverage -- and use only the lightest dusting. Spritz your face with some type of setting spray like MAC Fix+ when you're done with your foundation (and powder). I've used Fix+, e.l.f. 's Makeup Mist & Set, and NYX's Dewy Finish Setting Spray (I'll be reviewing this soon), and they all do a nice job of getting rid of any cakiness, downplaying flakiness, and making the skin look less powdery or mask-like. After I spray my face, I usually use a clean foundation brush to gently press it into the skin to get a really smooth, airbrushed look. When I follow those steps, the Outlast Stay Fabulous Foundation actually looks really nice -- and lasts as long as I need it to. The thing is, I have several foundations in my collection that I don't have to work as hard with to get right. They might not last quite as long, but when I'm in a rush in the morning, I'm more likely to grab something easy. However, for occasions when I want full coverage that lasts for hours and hours, I will definitely reach for the Outlast Stay Fabulous Foundation. Oh, I almost forgot -- of course, I choose the lightest shade, 805 Ivory. It may be a bit more yellow than I'd like (my fair skin is pretty neutral but it leans slightly toward the pink side of the spectrum) but I find that once it's blended in, you don't really see the yellow. All in all, I'm jealous of anyone who can get wear this foundation without all the extra work because it's really quite nice. And I think I paid less than $10 for it (and snagged it when Covergirl was BOGO half off at CVS so it was an even better deal), which makes it pretty budget-friendly too. 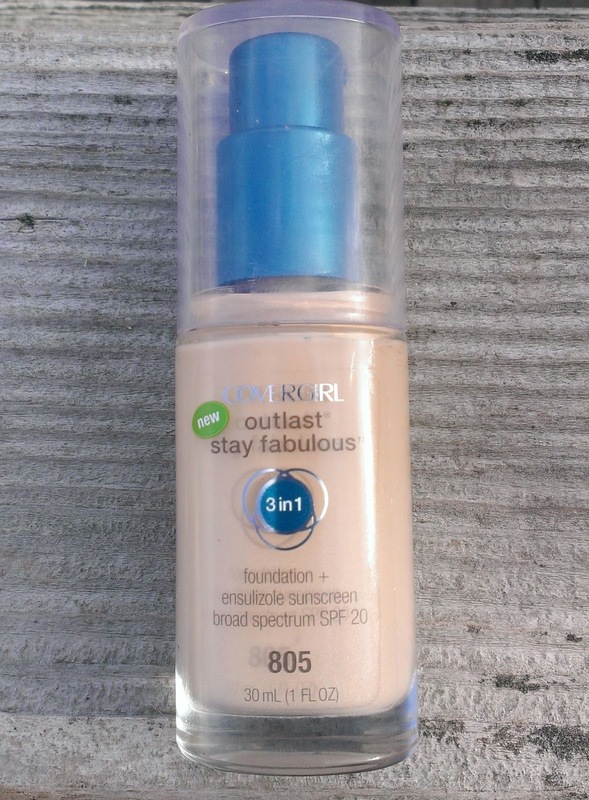 Have you tried the Covergirl Outlast Stay Fabulous Foundation? Are you a fan? Wow, I think that's actually the best review I've read for a CG foundation! I've never had luck with them either, but my skin sounds so similar to yours...it is dry but somehow still gobbles up my foundation. So this sounds like it would work for me! Thanks so much for the review.